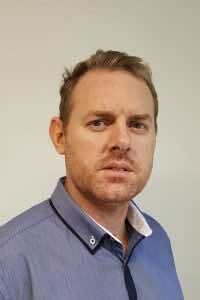 Greg is an Auckland based businessman, and has been a Director of the group since 2006. Prior to the Helios group of companies he was involved in bringing together a number of companies in the electronic security industry to form Intek Security Products. He is passionate about building successful businesses, and brings strong management, entrepreneurial and financial experience to the group. Personal interests include sailing, motor racing and outdoor activities. Before founding Enertec Power Solutions, Wayne worked in sales engineer roles for Enertec Services Ltd and Metermaster NZ Ltd. He had also completed a stint providing technical support at the Manukau Institute of Technology. Wayne has a degree in electrical and electronic engineering (Honours) and has just completed an MBA at Auckland University of Technology. Away from work, Wayne enjoys American muscle cars and creating new flavours on his charcoal BBQ. He also loves spending time with family, reading books and going for walks. 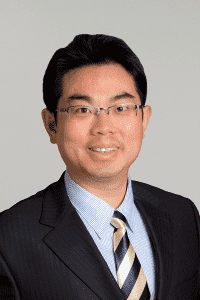 Jason is an experienced Electrical Engineer, and has been with Helios Power Solutions for 9 years. Prior to that he was a Service Engineer for a marine electronic and satellite communication company after serving for 9 years in the Royal New Zealand Navy as an Electronics Technician. 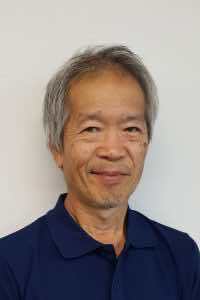 He has a detailed knowledge of AC and DC power systems, and has been responsible for the growth and development of complex integrated systems for Helios Power Solutions. His personal interests include all forms of sport, these days more as a spectator or coach, as well as supporting his daughter in her basketball career. 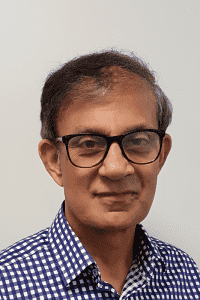 Jag began his career as an electrical engineering technician with the NZ Electricity department then progressing his career to various business development and management roles in the areas of process automation, power solutions and critical asset management. 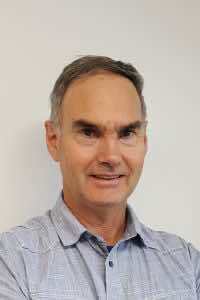 For the last 25 years, he has been involved in providing customers value-added solutions enabling asset efficiency optimisation, reducing operating costs and minimising risks to key stakeholders to all major industries throughout NZ. Jag holds Diploma of Business Management and a Masters of business management degree from Sothern Cross University. After work hours, Jag likes to spend time with the family, entertaining, walking and riding his cycle along with watching sport with his son. Daryl has been with Helios for more than 23 years and has an encyclopaedic knowledge of the range of products sold. He is also able to diagnose a broad range of problems and repair most of them. It is not unusual for 15 year old power supplies to come back for repair/refurbishment rather than replacement. He is also involved in the commissioning and testing of larger systems to achieve factory approved testing status. Adele has been with Helios for more than 15 years. 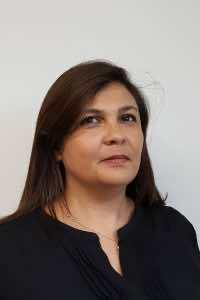 She is the front line for most customer requests, and has a great knowledge of our products, suppliers and logistics. Originally from South Africa, her personal interests revolve around her family, reading and relaxing. Gerrand has worked in power electronics for more than 20 years, most of them with Helios Power Solutions. He has more than 30 years of experience as an electrical engineer and is the man to talk to if you need a power conversion and protection solution. Outside of work he gets involved in personal fitness activities and relaxing with family. Klaus is an extremely experienced power electronics designer, originally from Germany. He contracts his services to Helios , and for the last 15 years has been responsible for designing our core product offer, and customer requested DC Power solutions. His knowledge of power conversion, battery charging and conditioning, and harsh environment power products is world leading. He enjoys outdoor activities such as boating and bushwalking, and also creating semi lethal single malt whisky in a variety of flavours. 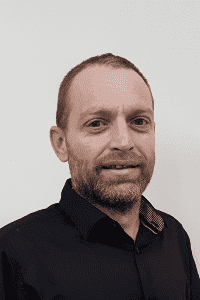 Willem started his career with Post and Telecom and has a background in telecommunication which include microwave link planning, point to multipoint radio systems for rural applications, radio site engineering as well as database and software design. In 2005 he joined Com10, a DC power system company were he gained extensive experience in the Cordex range of DC Power systems, this includes system design, implementation and production. 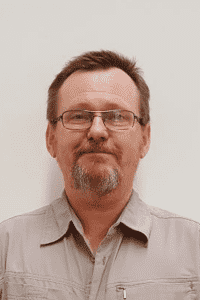 Willem has a degree in Electronic Engineering and a masters degree in Engineering Management. 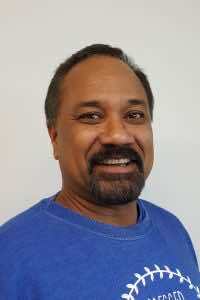 He has been with Helios since 2013 where is responsible for the technical side of system engineering and documentation. In his free time he likes building electronic projects and cycling, going to the beach when the weather allows it. Martin is a registered electrician with advanced trade certificates A and C. He also has a background in production engineering. This has given him valuable skills and experience in problem solving and managing the introduction of new products into the manufacturing environment. Before joining Helios Power Solutions (formerly Enertec), Martin was a distribution application engineer for TE Connectivity. 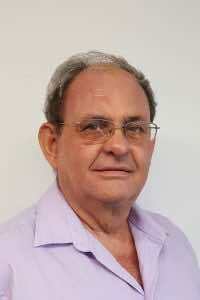 Working with appointed distributors, he was responsible for promoting TE products and services to customers in New Zealand’s electronics industry. When he’s off duty, Martin enjoys spending time with his wife, three boys and extended family. He also loves hunting, fishing, off-road racing, astronomy and tinkering with electronics, as well as designing and building a diverse range of projects. Rick holds a Master of Science (Honours) degree from the University of Auckland and a bachelor’s degree from Massey University. 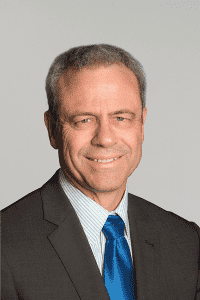 He has many years’ experience with providing solutions for mission-critical facilities across a range of sectors, such as energy, telecommunications and education. In this work, Rick specialised in critical power, power distribution and precision air conditioners. Before joining Helios Power Solutions (formerly Enertec) Rick was managing a portfolio of clients that included some of New Zealand’s largest and most influential blue-chip corporates. He is passionate about high quality results and helping clients to make the most of opportunities presented by the latest innovations. Beyond work, Rick enjoys socialising with friends and family. He also likes to keep fit, which usually involves getting outdoors on a walk or run. 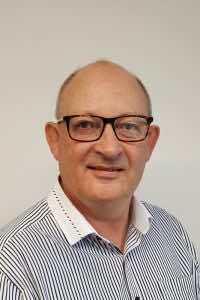 As a former director of Enertec Power Solutions until merging with Helios Power Solutions in 2016, based in southern Wellington, Richard began his career as a radio technician with NZ Post Office and Telecom. In 1989 he became service manager at McKenzie and Holland Ltd, a UPS manufacturer and importer. This was followed by a role with Nilsen Technologies, selling UPSs, test instruments and lightning protection. The latter saw the start of his association with ERICO, which continues through Helios today. In 1995 Richard opened our Wellington office and has been based there ever since. He holds an NZIM Diploma in Management. 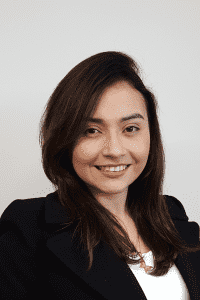 Adriana joined the group to assist with marketing across all entities. She is an electrical engineer with work experience in AC Power Product sales in Latin America, and also has a marketing degree. She is passionate about power electronics, and digital marketing. As a new entrant to NZ, she spends her spare time travelling in NZ and Australia. 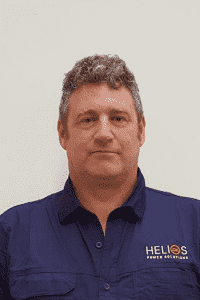 Starting in 1991 as an Apprentice Industrial Electrician, Nick brings a broad range of skills and knowledge to Helios and has worked in a wide range of environments. He’s a Registered Electrical Inspector and has also spent five years working in IT as a Systems Support Engineer. Nick brings with him five years’ experience in the critical power field, having worked as a UPS Engineer previously. He has factory training in Riello and Aros UPS products. He also has experience with a range of other UPS products and has a passionate, no-nonsense supportive approach towards clients and their needs. Outside of work, Nick is a keen fisherman, enjoys mountain-biking and road cycling & family life with his wife and two sons. Gavin has been with the company for 12 years gaining a great deal of knowledge and hands on experience in all areas of Production, Freight & Logistics.Having started out winding transformers for the company Gavin has worked his way around the factory learning the ins and outs of each department. Born and bred in West Auckland, Gavin spends most of his spare time with his two young children and his much-loved Holden. Started with a toolmaking apprenticeship at F&P in the 80’s. Then the Big O.E. to Europe / UK working with robotic welding and palletising systems – managing and purchasing for electrical production. Early 90’s Project Engineering at an old Liverpool company building equipment for the Brewery and Water Treatment industries. Followed by a technician role at a British Nuclear Fuels company. A career change in the late 90’s to programming for an ERP system developer. Then – early this century – back to NZ to manage production and purchasing at a University of Auckland Biotech startup. Now purchasing and forecasting at Helios/TASPAC. Spare time spent sailing, cycling, hiking, working on (rather than in) the garden. 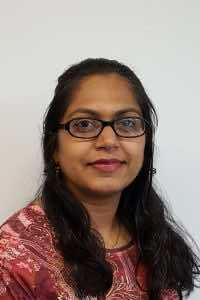 Kalpana has worked for Helios since 2011, and is responsible for the day to day financial management of the company. She has an accounting degree from Unitech in Auckland. Kalapana has a young family to keep her busy outside work hours, and is also involved in her local community.